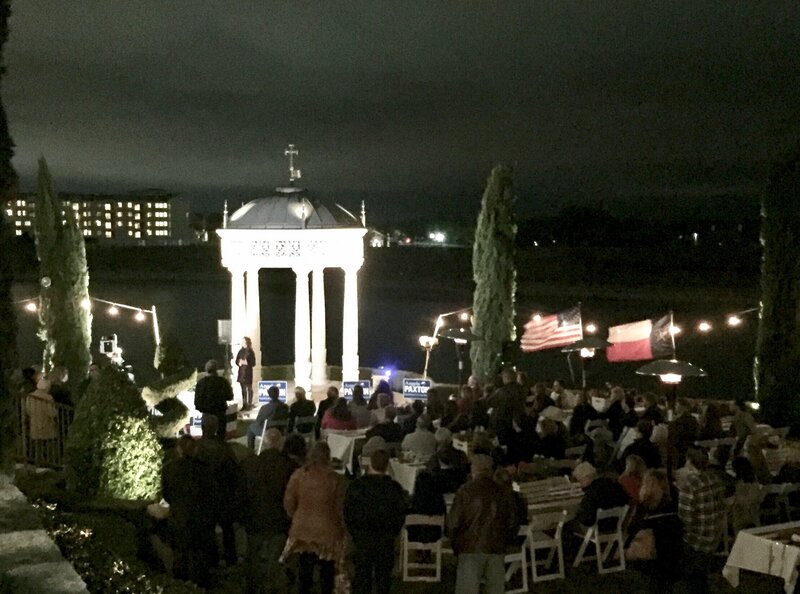 Earlier this week on a cold Tuesday night, hundreds of supporters turned out to help me kick off my campaign for Texas Senate. It was amazing to see such incredible turnout from across Senate District 8! What a great night to see longtime friends as well as new friends who have joined this effort. I’m thankful for the generosity of our many event sponsors, including JR and Keresa Richardson who opened their beautiful home for us to all enjoy. The energy and enthusiasm encouraged me so much, and I am honored to see how many people truly care about this community, state, and nation. If you were unable to attend, I wanted to share my remarks from the evening, which can be seen by clicking HERE. Texas faces many challenges, including property tax reform, border security, defending the sanctity and dignity of human life, and ensuring a top-notch education system, along with many other important issues that we’ll be tackling in the next legislative session. Regardless of the issue, I will bring a commitment to conservative principles and dedication to true community representation, powered by a courage that comes from faith in God and the encouragement of those I would represent here in Senate District 8. With your support, we are off to an incredible start. Thank you for your prayers as we will continue our momentum toward victory in the March 6, 2018 Republican primary. Thank you again for your confidence in me and for your friendship. PS – You can still make a donation towards the event by making a secure online contribution here.